Black with crimson gold green tile 1/3-yard panel containing 4 tiles from Hoffman. 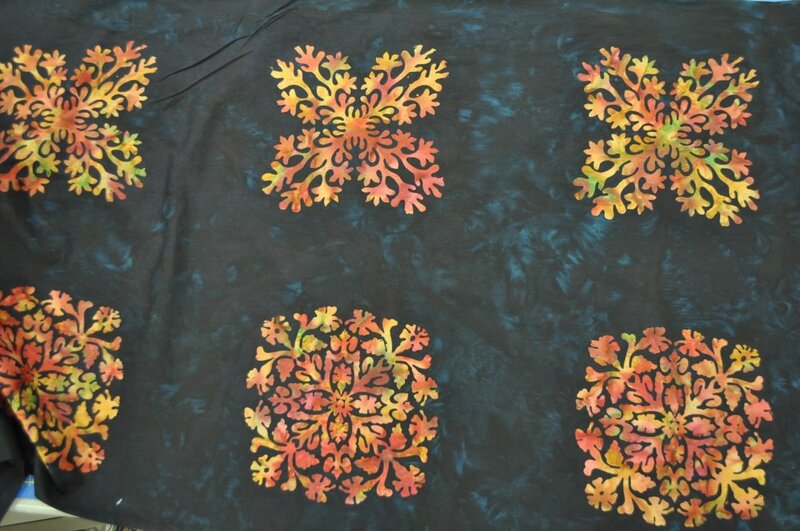 100% cotton batik. 43-44'' wide.